Let’s start with the Nokia N9 performance in the three individual components of the test. 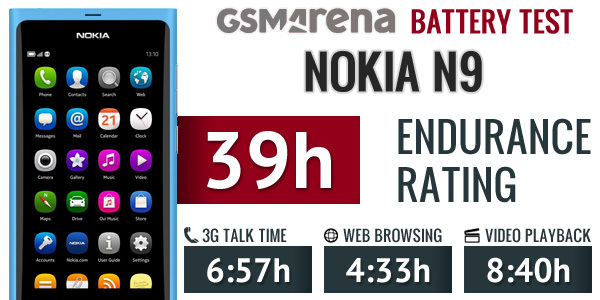 The Nokia N9 battery went from 100% to 0% after 6 hours and 57 minutes of talk time over a 3G network. That’s actually quite close to the 7 hours promised by its manufacturer. The second trial was web browsing. The MeeGo smartphone took 4 hours and 33 minutes of continuous web browsing over Wi-Fi to deplete its fully charged battery. We published the results from the Nokia N9 video playback test a while ago, but in case you have forgotten let us refresh your memory. 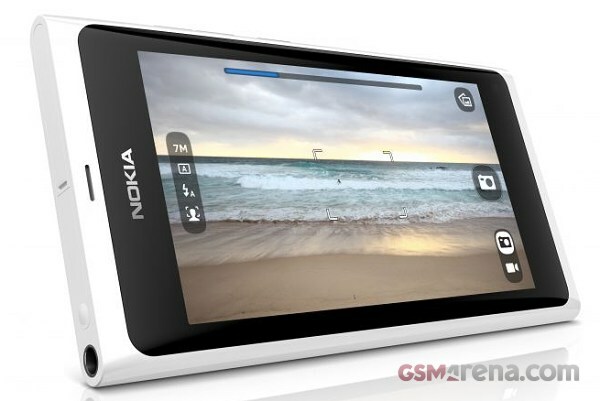 The N9 was capable of doing 8 hours and 40 minutes of non-stop SD Xvid video playback before it went through its battery. That gives the Nokia N9 a final score of 39, meaning that the smartphone will need to be charged every 39 hours if you do 1 hour of each of the three activities described above. So reasonably heavy users should expect to get about a day and a half from the N9.